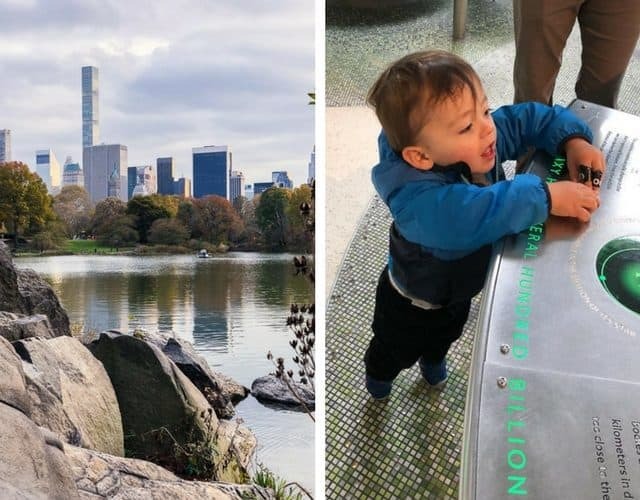 In today’s Life Lately I’m sharing thoughts from Thanksgiving, the end of a chapter, looking forward to 2018, and highlights from a trip to NYC. If you’ve been following me for a few years, you may remember that in 2014 I had spine surgery in the spring, and when they did an MRI of my spine, they found an unrelated tumor partially imaged in the picture. 6 months after my spine surgery, I had a colon resection, appendectomy, and tumor removal, and the tumor was discovered to not be benign. It was a really difficult year, and follow-on year, with endless doctor visits and a variety of doctors recommending conflicting courses of action. Well, right before Thanksgiving I went to NYC to get my final follow-up MRI. And I’m done! I’ve graduated! This chapter has closed. No chemo for me, and no more follow-up scans. I should’ve known it would happen, but it took me by surprise how emotional I was. I don’t think I was aware of the underlying weight I have carried for the years that this chapter has remained open. And now it is closed. Thank you for all the support and love during that crazy time. I will never forget all the thoughtful messages I received from you and it still means the world to me. As I look forward to 2018 and reflect back on this year, I’ve been feeling really moved to focus on my health in 2018. The Whole30 I did in September and October was SO transformative and impactful, and a few days ago I decided to start eating almost entirely Whole30-compliant for the next few months, aside from a few planned exceptions. I want to see what happens. My biggest question in this shift has been, how can I continue to make delicious and worthwhile recipes both for myself and to share with you, within these parameters? Fortunately, after a few months of eating this way, I see very clearly how. (Quick note: I have many recipes I’ve made in advance that are not Whole30 specific, so the stuff I share during this new period will be mixed, just as they were during my initial Whole30). The biggest thing I’ve noticed is that there are certain ingredients that are easy to fall back on, to make an entire dish delicious. They tend to be the less healthy ingredients. Removing those fallbacks forces you to be a little more creative, because at the end of the day, I still want to eat delicious things and experience joy in my food. I have made and eaten some wildly delicious meals that have been naturally dairy-free, gluten-free, etc, without feeling like something is missing. I’ll share more on this in the future as it becomes more clear, but I want to continue to keep you in the loop on the changes that are happening. How was your Thanksgiving? Did you learn any lessons, and taste any new standout dishes? 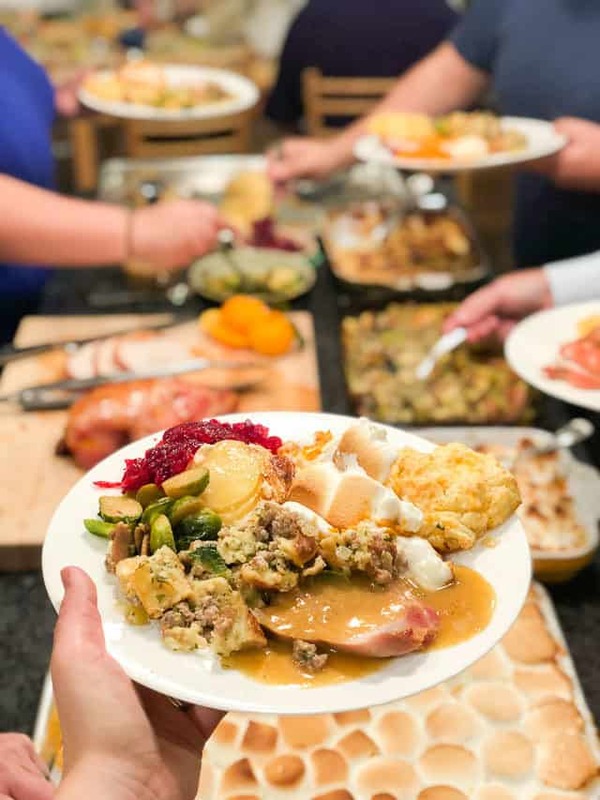 Every year I write down my thoughts from Thanksgiving so I can adjust my meal planning for future years, and here’s what happened for Thanksgiving 2017! I need some work on perfecting stuffing. As far as the ingredients and flavors, this is my favorite stuffing (dressing) ever. But you know what I didn’t get right this year? The moisture level of the bread. It somehow seemed too moist and too dry at the same time. Not sure if this has to do with insufficient staling of the bread, if it has to do with the amount of liquid, or with the soaking time. If you have any thoughts, I’m all ears! Making turkey breasts instead of the whole turkey is awesome. 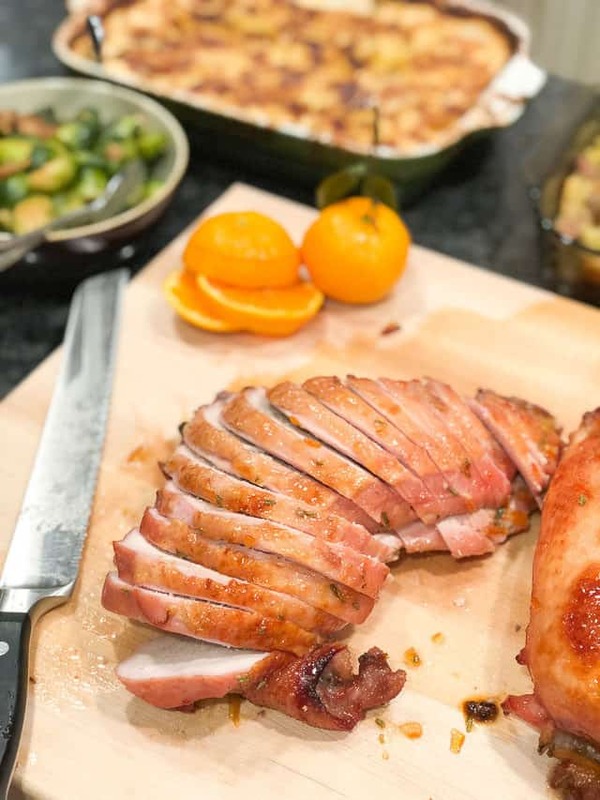 I started this a couple years back, following this recipe, and it’s so much more manageable to brine and cook the breasts instead of the whole bird. This year I had 9 people, so I made two breasts, and we had plenty of leftovers. It’s always such a delight to not have to spend any time picking leftover meat off the bones. Making gravy ahead of time is also awesome. Because I now make Orange Glazed Turkey Breasts, I don’t have drippings from the bird to make my gravy. So I purchased some turkey necks instead and made it the day before, and it was GREAT! I always dreaded making the gravy at the last minute on Thanksgiving day right when the bird comes out of the oven, and now I can do it a day ahead! Turkey necks were cheap too. I got them for $2/lb from Whole Foods. No matter what, make the cranberry sauce two days ahead, and the desserts the day before. This is what I normally do, and what contributed to the most stress-free Thanksgivings in 2015 and 2016, but this year was a bit stressful. I had a ton of family flying into town, and because of certain circumstances I won’t bore you with, everything ended up being done on Thanksgiving day, which was too much. I’m making a note of blocking out time the two days before to cook and bake no matter the circumstances (save for emergencies, of course). Always make Pecan Pie and Meyer Lemon Buttermilk Pie. Seriously, they’re the best pies ever. We all looked around for a third dessert and ended up doing a Pumpkin Cheesecake, which was so-so. I’m still looking for that perfect trifecta, but haven’t found it yet. 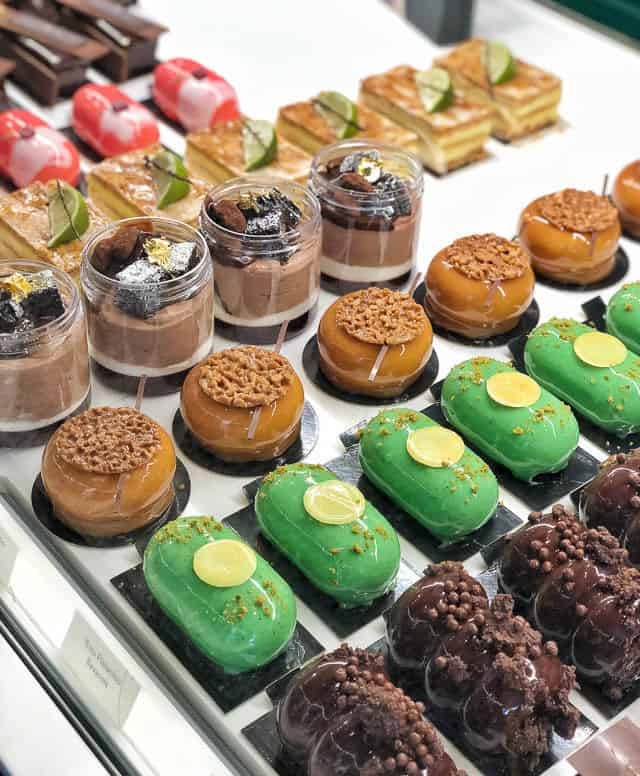 Do you have any desserts you love? Sweet Potato Casserole done dairy-free is actually delicious. You know the mashed sweet potatoes topped with marshmallows? I did the sweet potatoes dairy-free this year, made with coconut oil and coconut cream. I didn’t know how the coconut flavor would go with it, but it’s SOOOOOOO good. I was happily surprised. I will do this from now on. Express your gratitude at the table. It was a race against the clock (or rather, James’ bedtime) to get dinner started, so I decided I would prompt my family to share gratitudes for dessert instead, once James was asleep. I started off by saying I wanted to share some things I was grateful for, and everyone followed suit. It was beautiful to hear everyone share the things they are grateful for, and it was emotional too! I cherish the moments where you can share from the heart with people you love. While Pete, James, and I were in NYC for the tumor scan, we ended up making a small trip of it. NYC is so lovely around the holidays, and there are many wonderful outdoor food markets and Christmas markets. 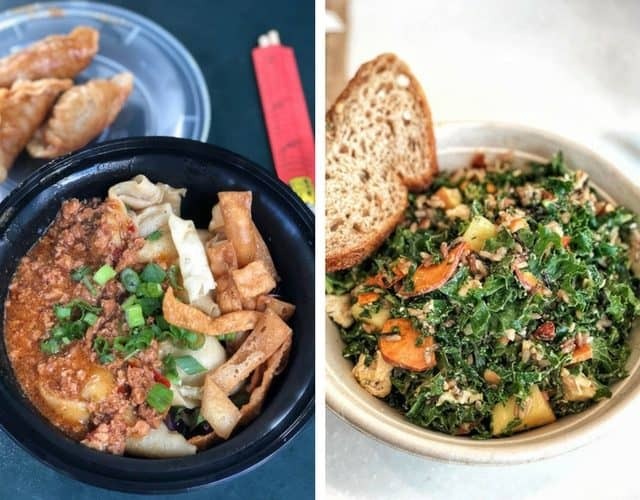 We had hand-pulled noodles from an outdoor market at Bryant Park (photo left), and I also tried Sweetgreen (photo right), which I’ve heard GREAT things about. All I can say is…I understand the hype! I completely devoured my Harvest bowl and could’ve eaten another. So good. We also walked around Central Park a bit, then walked over to the Natural History Museum. James had a ball in there. While we were in the Upper West Side, I was walking down the street and noticed a new restaurant: Motorino! We weren’t planning to eat there for lunch, but once I saw it there, I HAD to stop by. 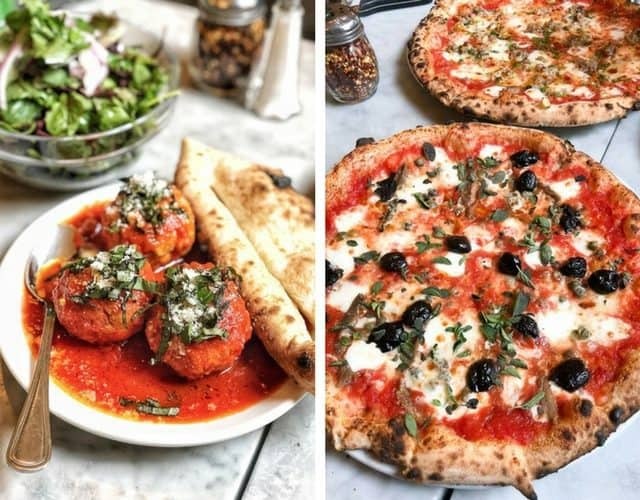 If you’re not familiar with them, it’s known as one of the best pizza places in NYC, and previously their only location was in the East Village. Since my little brother lives in the city, Pete and I also got to have a date night out while my brother babysat James. 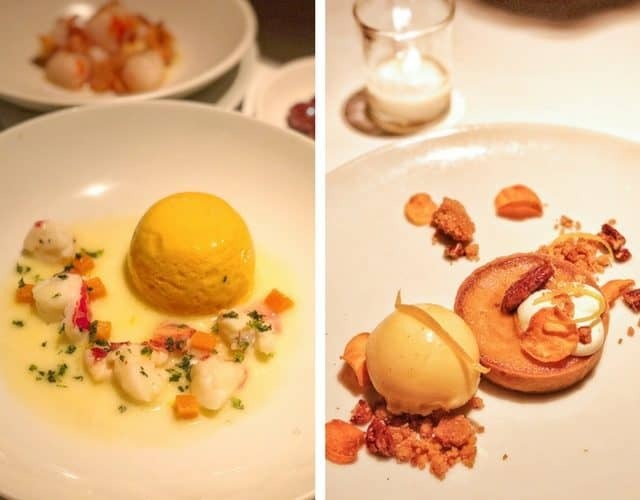 We went to Union Square Cafe, which is one of my absolute favorite restaurants in the city. Upon writing this, I realize that I haven’t done my NYC food writeup yet, so I just officially put it on my calendar (which means it will get done). Stay tuned! In the meantime, you can always access my Food Map here, which lists out all my favorite spots in the city. Feel free to ask me about any of these places as well. If you’ve made it down this far, thank you for reading and for being here. I hope you’re having a wonderful holiday season!